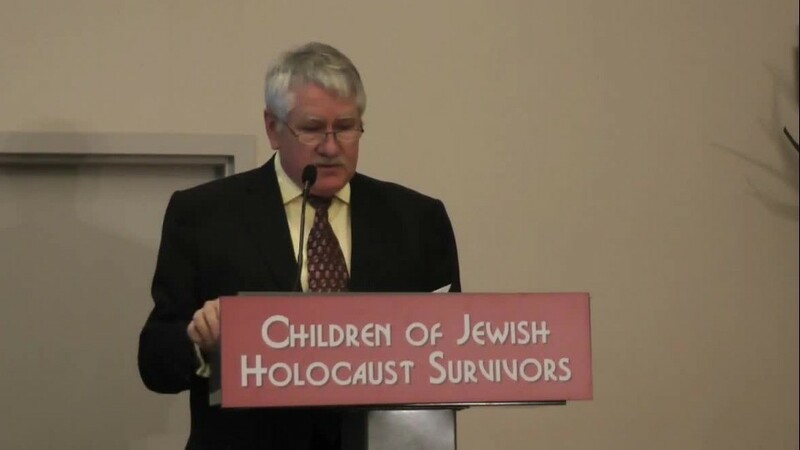 I gave a speech to the Children of Jewish Holocaust Survivors group about the kinds of problems with modern textbooks that purport to teach history ... they don't! From the Children of Jewish Holocaust Survivors: Vladimir Lenin said, "Give me four years to teach the children and the seed I have sown will never be uprooted." It's hardly a secret that many of today's colleges are little more that indoctrination centers for the left. The Nazi model was to establish an outcome-based education system. Children of Jewish Holocaust Survivors knows well where this leads and is proud to bring Professor Larry Schweikart to the community. Over the years, Schweikart has written nearly 30 books, dozens of articles and book reviews, and became an authority in antebellum banking and finance. In the 1990s, he wrote his own history of American business, The Entrepreneurial Adventure, then, with Michael Allen, began work on a larger project, a history of the United States. Published in 2004 as A Patriot's History of the United States, this book became a best-seller and attracted the attention of the New York Times, the Wall Street Journal, and talk-show host Rush Limbaugh, who interviewed Schweikart for his newsletter in March 2004. Now in multiple editions and a fourth printing, Patriot's History continues to be ìtheî alternative history for parents disgusted with the dominant liberal-left textbooks. In 2006, Schweikart followed up with the controversial America's Victories: Why the U.S. Wins Wars. Featured on BOOK TV and numerous television and radio shows, Schweikart was invited by the President of the United States to the Oval Office for an extended discussion of military history in August 2006. With his book, 48 Liberal Lies About American History (That You Probably Learned in School) Schweikart turned back to the culture wars. He has appeared on the "700 Club", "Fox and Friends", Fox News, Book TV, and dozens of national and local radio shows, including Rush Limbaugh, Laura Ingraham, Hugh Hewitt, Dennis Prager and many others. A novelist who has written a 9/11 thriller, September Day, and a World War II counterfactual military drama, Halsey's Bluff, Schweikart brings history to life in a variety of venues. Professor Schweikart examined the top 20 college history textbooks, and showed us what they say about everything from the Rosenbergs to the transcontinental railroads to Ronald Reagan quoting directly from them. His talk included an informative and enjoyable slide presentation.